Adorable, updated and on A CORNER LOT! 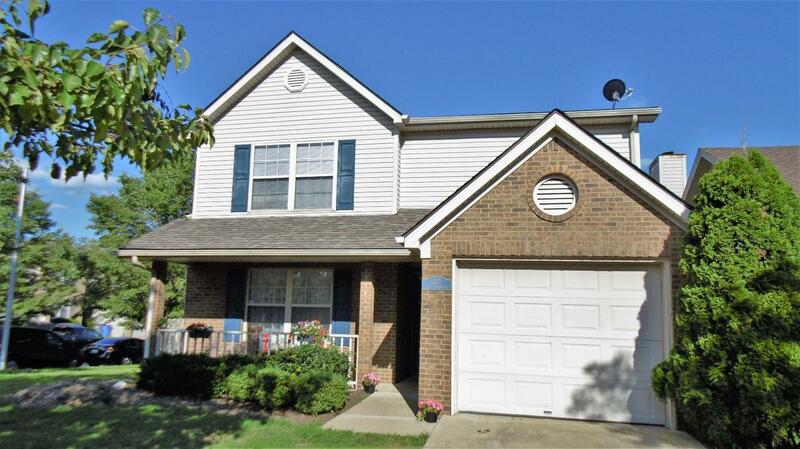 Emerson Woods neighborhood is VERY Close to shopping at both Tates Creek Ctr and Lansdowne Shoppes (Kroger, Ramsey's, Merrick Inn, Malones complex), and Fayette Mall. 10 minutes to UK Campus and Med Ctr, 15 to Downtown. This home has wonderful curb appeal & landscaping, to go along with FOUR BEDROOMS, including a 1ST FLOOR MASTER SUITE! TWO FULL BATHS, one on each floor, PLUS a 1st floor Powder Room/ half bath. Open Great Room, with pretty fireplace, opens to BIG KITCHEN, with ISLAND SEATING, ample cabinets & counters. All kitchen APPLIANCES STAY! Upstairs, 3 more large bedrooms & a spacious Guest Bath line the Catwalk that is open to the Great Room. Outside, you find a 22 x 16 ft Party Deck off the Great Room, a Privacy Fenced Backyard that has all the room you need for the kids, pets, summer gatherings, garden, and all the extras. This CORNER LOT offers more space in the side yard for tossing the football, and no immediate neighbor on one side.